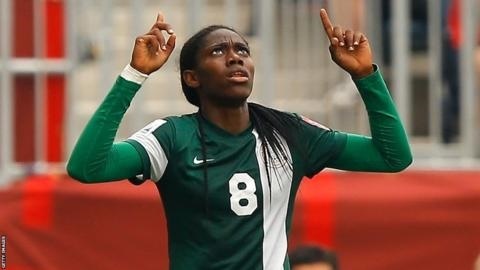 Oshoala has enjoyed a blistering year with her Chinese club Dalian Quanjian who she recently helped win the Super Cup. Super Falcons star, Asisat Oshoala has been shortlisted for the CAF Women’s Player of the Year Award by the continet's football ruling body. This is the third time in a row that the China-based star is being nominated having won the 2015 and 2016 editions. The former Arsenal and Liverpool Ladies ace finished as the top striker in the Chinese Women League and it would not be surprising if she wins the top CAF Award again. As stated, the winners will be decided by votes from the members of the CAF Technical & Development Committee, CAF Media Experts Panel and Independent Media and TV Consultants.